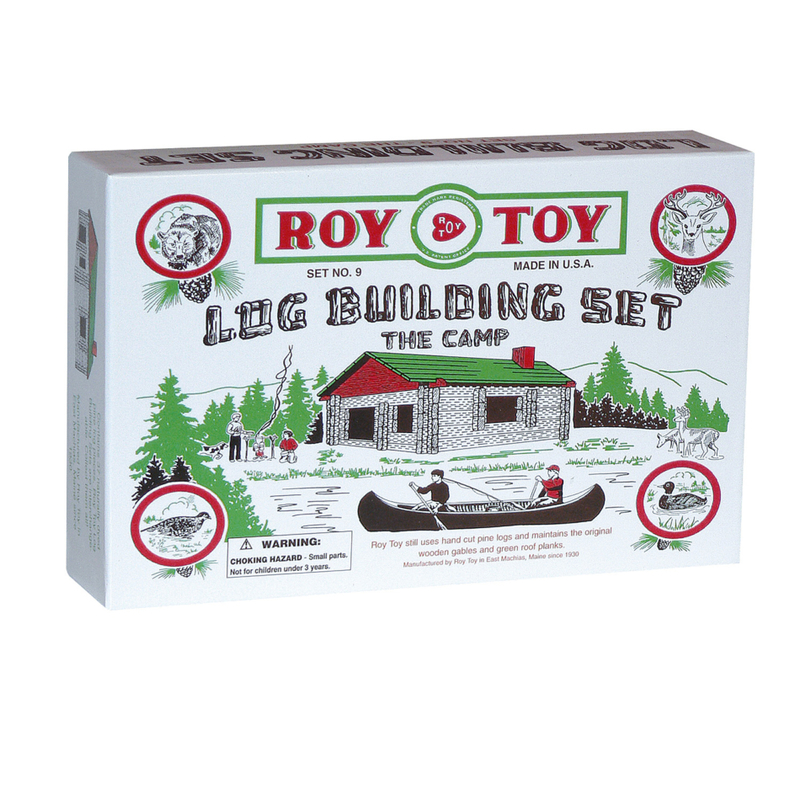 Roy Toy was established in the mid 1930’s by one of the earliest pioneers in the wooden toy industry, Roy K. Dennison. 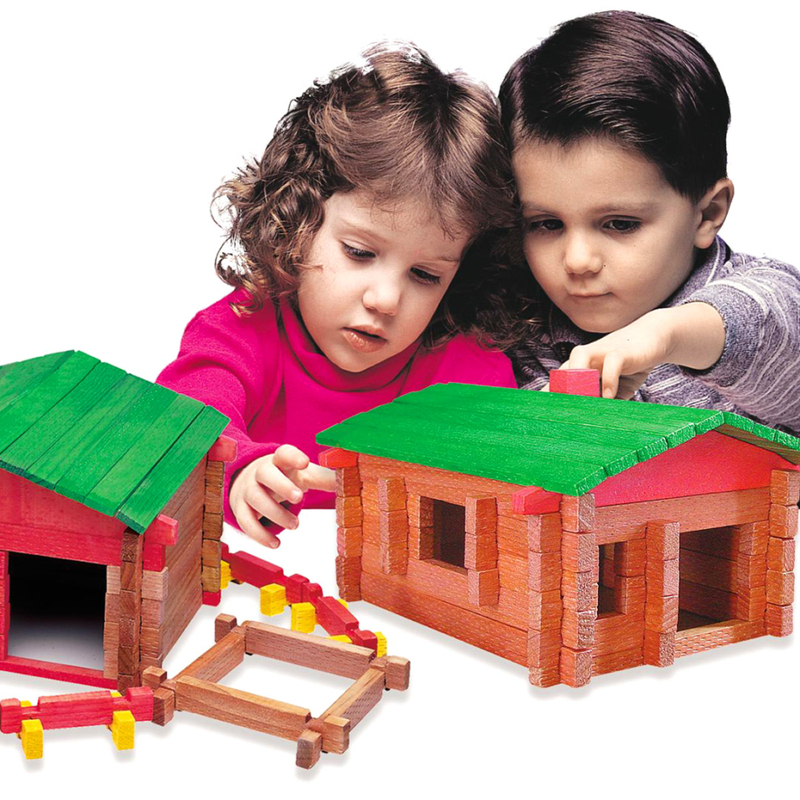 Roy realized that there was an intriguing love for wooden construction sets, and that this excitement was had by both children and their parents. Roy would often say, “There’s no greater feeling for a parent than helping their child explore their own imagination”. This became the inspiration for his classic log building designs. For these challenging sets, Roy used unique rectangular shaped logs with a tight notching fit leading to structures that wouldn’t topple easily. The logs were hand-cut and honed to a realistic finish. Roy filled the hearts of children and families with joy and wonder for nearly 30 years, until his death in the 1960’s. At that time, the machines stopped and the doors to his factory closed. The machines were dismantled and stored with various relatives for close to 30 years. When Roy’s grandson, Bruce Dennison, decided to revive the Roy Toy business as a hobby in 1992, he was faced with a daunting task. Not only did he have to round up the stored toy-making equipment, he discovered that many pieces did not fit together, some were missing motors, others missing shafts and gears, and only a handful of blades were still around. To recreate his grandfather’s building sets, Bruce needed help determining how the wooden blocks were cut. How did these aging pieces of equipment once work, and could they ever work again? He found the answers amongst boxes of remaining pieces, photos, old packaging, and an earful of old stories. But there were still many questions left unanswered and it would be over a year before Bruce would put the pieces of the puzzle together. Bruce understood the classic look his grandfather wanted in his log buildings and wasn’t about to change the toys that he remembered. Bruce believed that the key to this classic look was the toy’s handmade design. 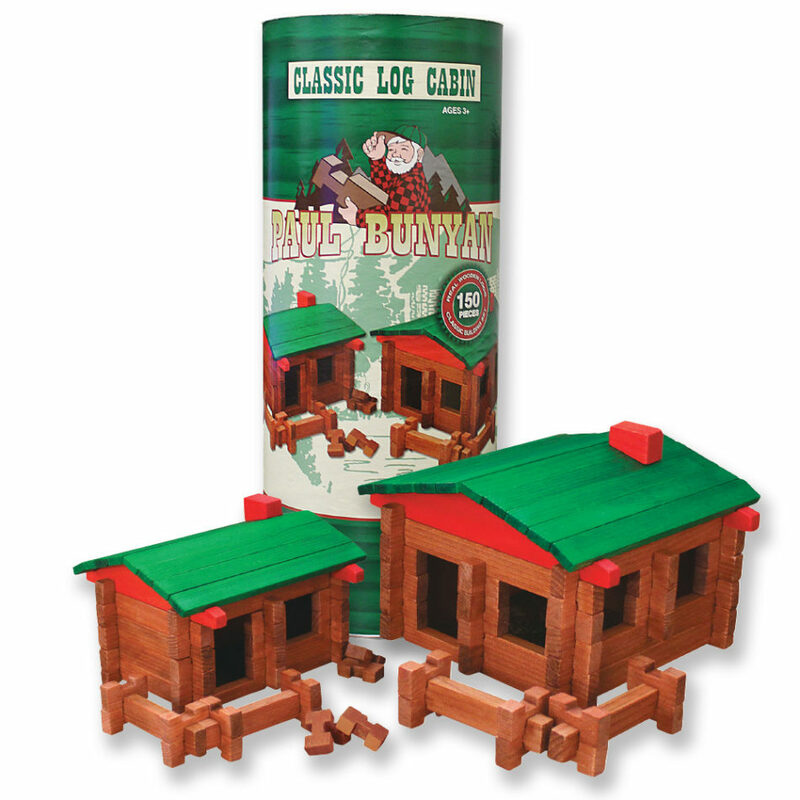 With this design the logs have a realistic quality and feel and fit together snuggly, resulting in structures that are much larger than most other log building sets. 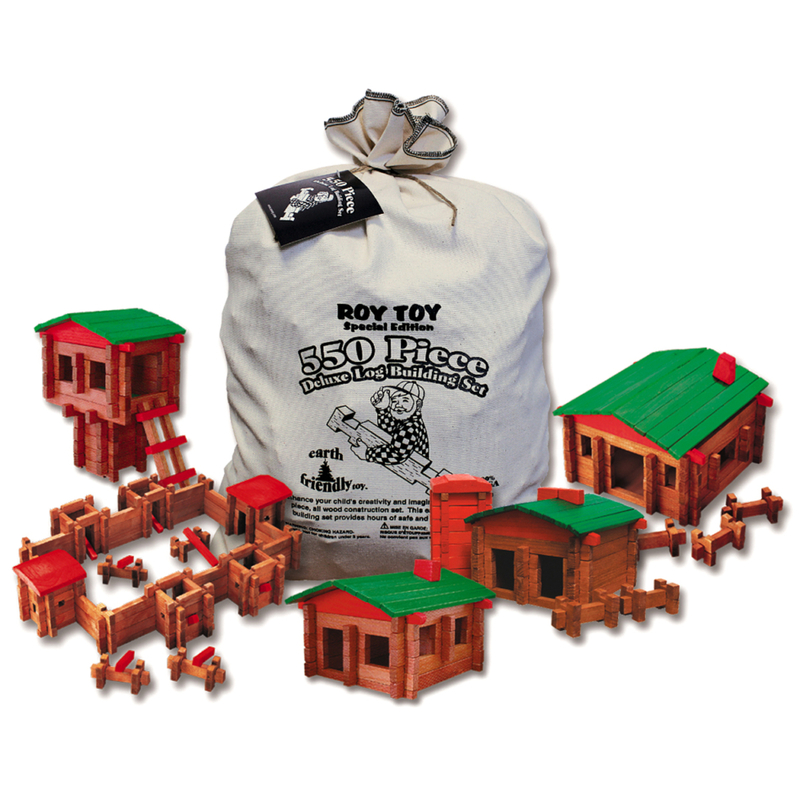 Roy Toy still hand cuts their sets from pine logs and stains them with a non-toxic dye, creating the same bright red wooden gables and traditional green wooden roof planks as originally designed.